Have an Embroidery Machine? Know a gamer? 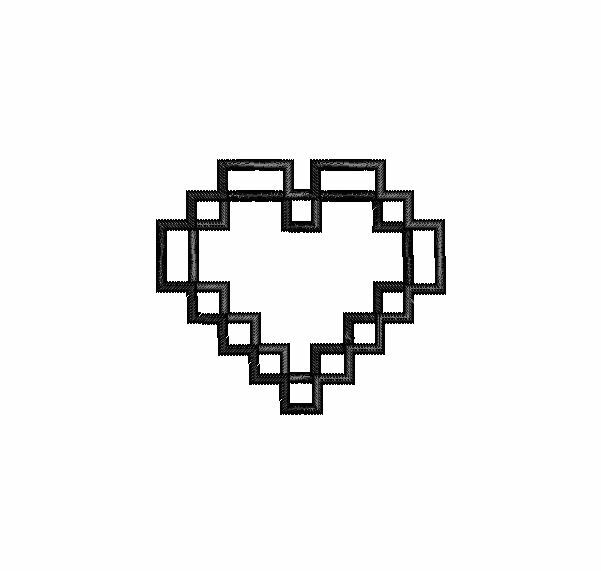 Surprise them by putting this classic health heart on your next project for them and they will love you forever! Or at least until their next health potion kicks in. 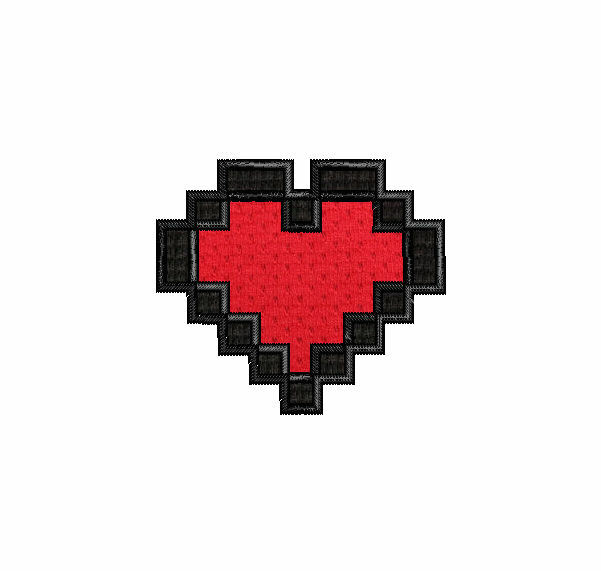 This Zelda inspired 8 Bit Heart Applique Machine Embroidery Pattern will look great stitched on clothes, a bag, or another item. If you need a different format, please send me a conversation because I may be able to accommodate you. This is **NOT A PATCH**. This design requires an embroidery machine and the appropriate software for use. If you would like this design created as a patch, please request a custom order or send me a conversation so we can discuss a product just for you. Shipping for this item is free because it is an instant download. Once your payment clears, you will have access to a zip file that includes all design sizes in all 7 formats. Since this is a digital product, there are no returns, exchanges or refunds. You MAY NOT copy, resell, or give away my digitized designs.